Shecktor Enterprises, Inc trades on Ebay under the name N3OMA01. From time to time we will post images and information on upcoming products here. 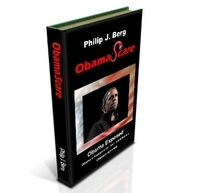 Shecktor Enterprises, Inc. publishes Phil Berg's book "ObamaScare"
Shecktor Enterprises, Inc. published Phil Berg's book "ObamaScare" in March, 2014. This book is available on Amazon and all other book retailers. Shecktor Enterprises, Inc. also did the formatting and some of the editing for this book. Phil Berg was the first attorney to file a legal action accusing President Barack Obama of using a fake birth certificate and other falsified documents. His website, www.obamcrimes.com once ranked in the top 7 of all websites.